Tennis has been at the forefront of video gaming since the medium’s near-inception, dating back to early experiments like Tennis for Two, the Brown Box prototype, and the seminal Pong. Almost half as old as Atari’s arcade hit, the Mario Tennis series has evolved electronic tennis in a very vertical way. Where regular tennis sims zig, Mario zags. Mario Tennis, primarily developed by RPG house Camelot (Shining Force, Golden Sun), has been defined by its broad mix of Mario characters and accessible tennis mechanics, often veering into the kind of madness that best defines Nintendo’s multiplayer finest. 23 years later, as it were, Mario Tennis Aces is about to grace Nintendo Switch as an amalgamation of everything Mario Tennis should be. The series has seen its ups and downs over that span of time, and thus, we hit the courts for a look back at one of Nintendo’s most prominent sports series. They may all play roughly the same, but each one has its own quirks to stand out. Before the Nintendo 64, before Camelot, there was Nintendo R&D and Tose’s launch game for the Virtual Boy. It also happened to be the first explicitly Mario-branded sports game ever released. 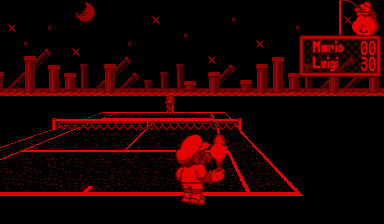 Mario’s inaugural tennis game was rather barren by today’s standards, offering only singles and doubles in single-player. There would have been proper multiplayer with a second Virtual Boy if the system’s link cable wasn’t scrapped prior. There’s not much on offer here besides seeing where the primordial ooze that became Mario Tennis came from, and for playing a tennis game in black-and-red 3D visuals. Now this is where it really all began. Mario Tennis was the first entry developed by Camelot, who would be the series stalwart developer for all time. Like the studio’s acclaimed Mario Golf from the year prior, Tennis was built to be accessible, easy to learn, and impossibly fun to play. Besides the proper singles and doubles game of tennis and Tournament mode, there were several mini-games that doubled as training grounds to play a better game. But the real legacy of Camelot’s Mario Tennis is the introduction of everyone’s favorite gangly-limed misfit, the highly meme-able, incomparable Waluigi. Beside’s Luigi’s evil counterpart, Mario Tennis also brought back old, obscure Nintendo favorites Daisy and Donkey Kong Jr. (in his final playable appearance). The foundation of Mario Tennis all those 18 years ago set the stage for every Tennis going forward. 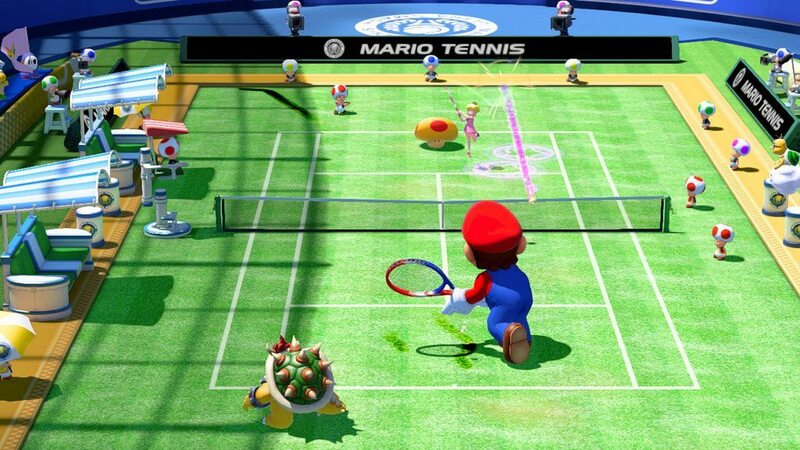 As with Mario Golf, Mario Tennis‘ console game would receive its own handheld counterpart. Like with Golf, Tennis on Game Boy Color was carried by a full-on RPG mode, where you played as a student in a tennis academy, entering tennis matches to level up and boost your tennis skills. Despite his name being in the title, you actually had to work to play as Mario, among other unlockable Mushroom Kingdom favorites. On the original hardware, Mario Tennis‘ cartridge could connnect to the N64 game via a Transfer Pack for even more unlockables (including Waluigi). Unfortunately, both these unlocks and multiplayer are unavailable in the 3DS Virtual Console release. As for playability, the Game Boy Color Mario Tennis feels much like the N64 game, but more like if Game Boy’s Tennis from 1989 had evolved considerably. Mario’s next tennis outing opens with a bang and a smashing, hilarious animated short where Wario and Waluigi get Bowser’s help to wreak havoc on a tennis stadium. The game that follows is just as good, and perhaps the best in the series. 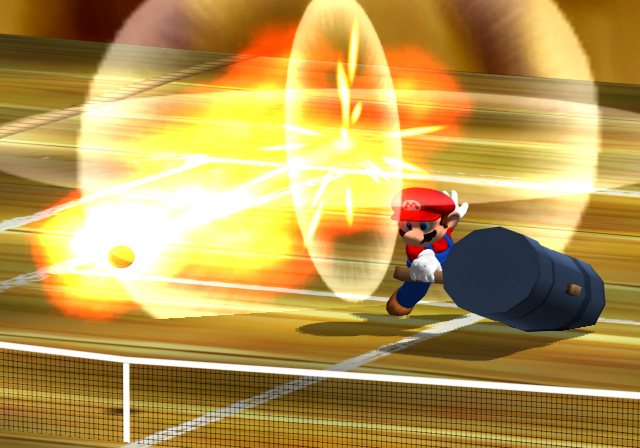 Mario Power Tennis introduced Power Shots, special moves that delivered a guaranteed return shot via a special, character-driven animation. While overpowering, these were just the flourishes you’d expect from a Mario-themed sports game. The courts also got an upgrade, complimenting standard courts with “gimmick” ones, throwing blooper ink, changing conveyor directions, and pesky ghosts your way, giving you more elements to keep track of amidst the tennis action. Power Shots and these lively new courts made for a frenetic and fun game of tennis, more so than its predecessor. 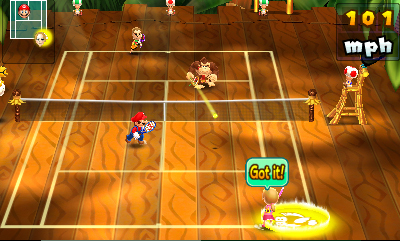 Mario Power Tennis was re-released a few years later on Wii, with plenty of subtle and large changes. Predictably, players used Wii motion controls to swing the racket, making for a less precise control method than the GameCube controller. Once again, Mario Tennis‘ console game would see a handheld spin-off, this time on the Game Boy Advance. 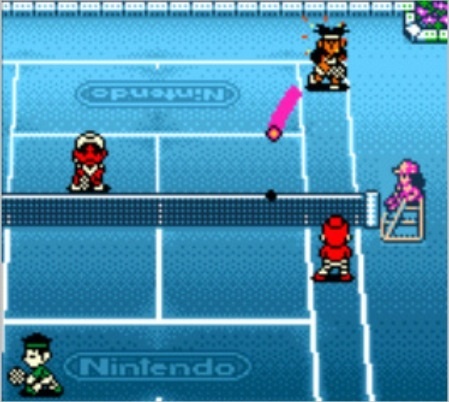 Power Tour followed closely in the spirit of Game Boy Color’s Tennis, albeit with spiffy pre-rendered visuals and the return of Power Tennis‘ Power Shots. Notably, of the playable roster, the Mario staples are outnumbered by the story mode’s unlockable roster of human tennis-eers. There were no gimmick courts, but there were plenty of mini-games to experiment with. Although Power Tour couldn’t connect to its console counterpart (in 2005, who was supporting the GameCube-GBA connector cable? ), it could connect to other players wirelessly via the GBA’s Wireless Adapter for multiplayer action. 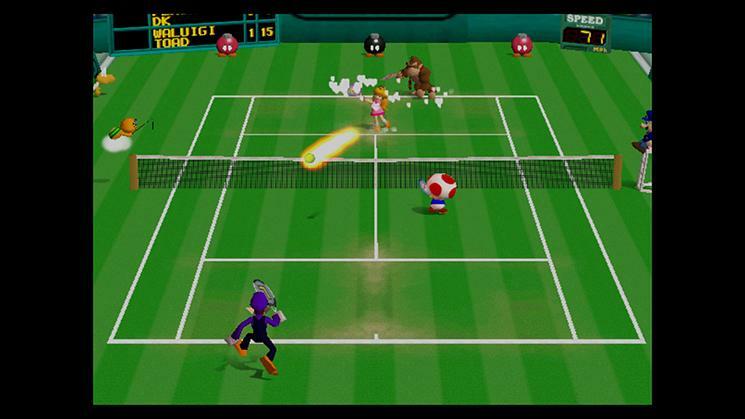 In 2012, it had been a long time without a new Mario Tennis, as it skipped out a new entry across the Nintendo DS and Wii for whatever behind-the-scenes reason. 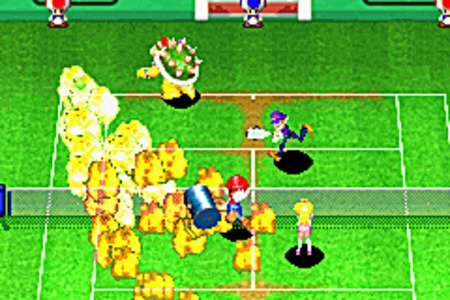 Mario Tennis Open stripped out some of the extravagant elements of past games, and in turn added some mundane additions to the formula. The major gameplay update was the special Chance Shots, essentially colored spots on the court that not only telegraphed where the ball was going to land, but if the proper button combination was pressed, return shots would be more effective and powerful. Chance Shots were evidently a move to appease casual tennis players, but effectively made it less about the actual tennis. 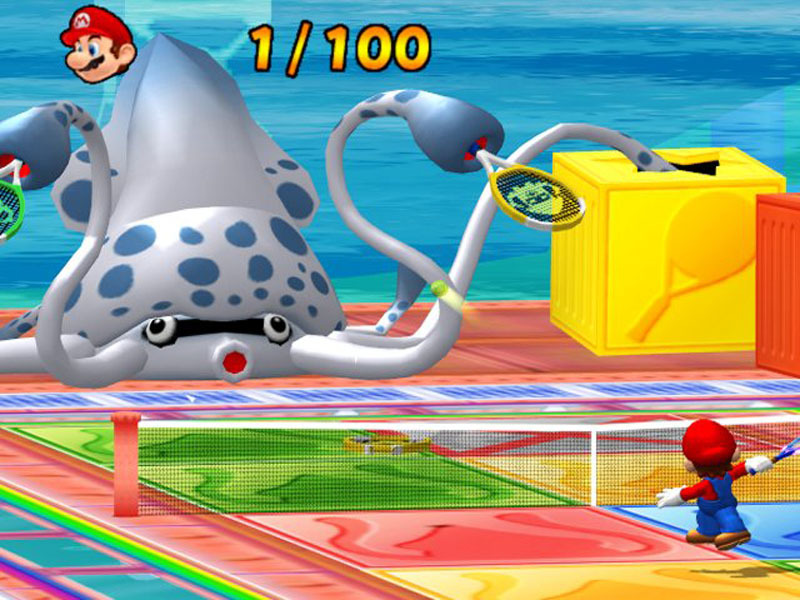 Other major additions of Tennis Open included the use of Miis, QR code downloads, online play, and a few new mini-games. Unfortunately, Tennis Open ditched a story mode, leaving any stat customization and character growth to Miis alone. 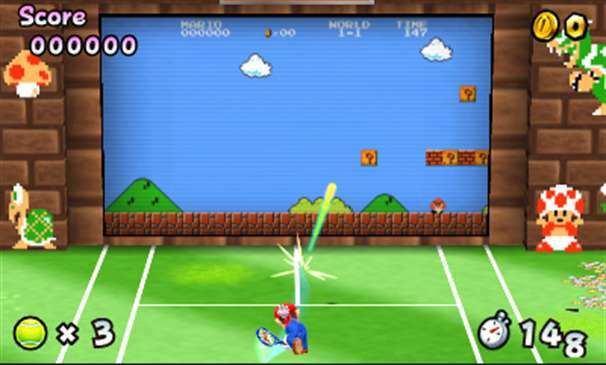 The mini-game “Super Mario Tennis”, a tennis-powered recreation of the 1985 Super Mario Bros, was probably the whole package’s stand-out for novelty factor. 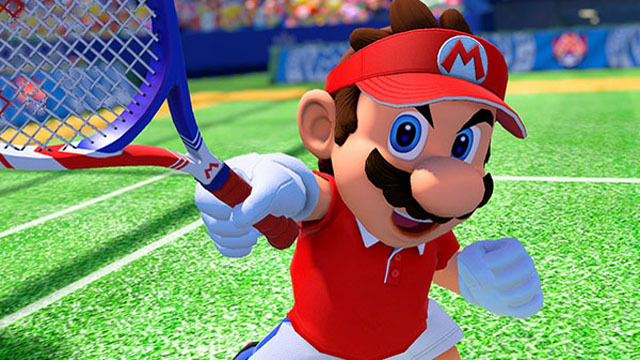 Mario Tennis Open was ultimately a decent but forgettable entry in the series, scaling back the madness at the cost of the manic glee the last few Mario Tennis games had. As mediocre as Mario Tennis Open got, at least it wasn’t Ultra Smash. Announced in mid-2015 and released a few months later, Mario Tennis: Ultra Smash was a clearly rushed product hastily moved to the holiday season as an emergency release during the Wii U’s worst years. Camelot themselves admitted this was their first game in HD, and it shows. Ultra Smash may have looked the part and it still played well, but it was stunningly lacking in content. The main gimmicks were the titular Ultra Smashes, which functioned almost exactly like Chance Shots, and the Mega Mushrooms which randomly appeared to supersize your player (distractedly so). Playing by yourself reveals a stunning lack of variety in modes and courts to play on (at least you could now play as Rosalina proper). Adding to the insult of the package was the regressive online play, where you couldn’t even play directly with your friends. Mario Tennis: Ultra Smash is one of the worst-regarded Nintendo releases in the last decade, not because the gameplay was broken, but because it was not done. Freshly released, we come to Mario Tennis Aces, aka the “here’s our apology for Ultra Smash” game. Camelot clearly took it on the chin from Ultra Smash‘s poor reception, because Aces is full of content and new mechanics. For the first time in many moons, Mario Tennis has an extensive single-player story mode. As Mario, you’ll travel a world map clearing levels to save the day from an evil tennis racket (you might as well call it the ‘Infinity Racket’). These levels have variety; beyond standard tennis, you’ll have boss battles and creative flips on the tennis concept to clear. Mechanically, Aces introduces some major new elements that make Mario Tennis more akin to a fighting game. 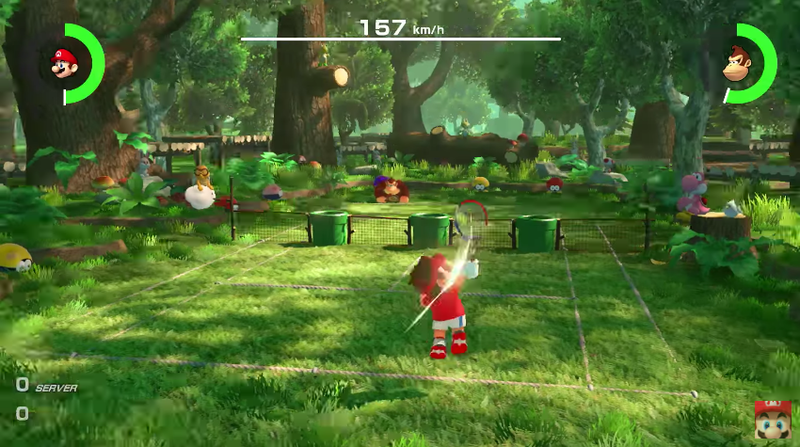 A special meter fills up as you play proper tennis, whose energy lets you slow down time or unleash a super return (aided by aiming with the Switch’s gyro sensor). If you deliver powerful returns, your opponent’s racket can lose hit points and ultimately break. The online play returns with considerable improvements. Besides better matchmaking with friends, there’s an online tournament you can partake in to earn points and unlockable characters. As proven by Ace‘s early online demo, this will no doubt prove to be a popular and competitive go-to for Mario Tennis pros. Mario Tennis Aces had a lot to prove pre-release, and now that’s it’s arrived, it has proven to be a fine return to form for the long-running, beleaguered sports series. 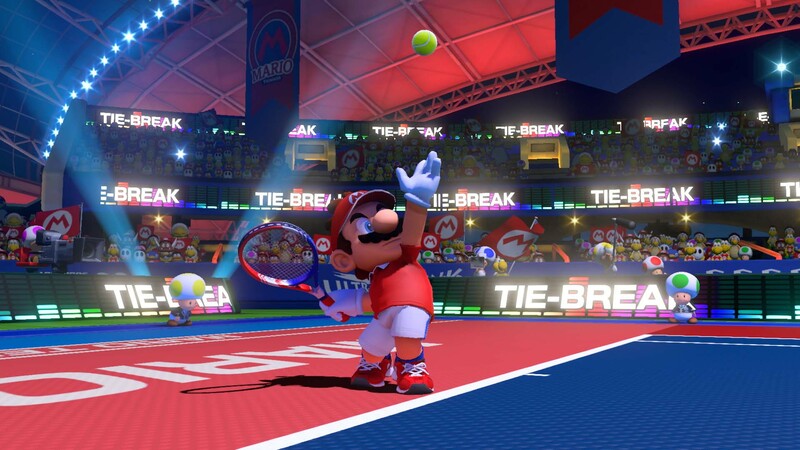 Mario Tennis as a series has had the serendipitous luck to grow and evolve alongside other “casual” tennis efforts as SEGA’s Virtua Tennis and 2K’s Top Spin. As popular as they may have been, nothing has held a candle to Mario Tennis‘ durability and excitement. Not only are they easy to learn and play, Camelot’s Mario-branded tennis offers a deep level of challenge and replayability. They may not be the most realistic, but Mario Tennis remains the surest bet for fast and fun tennis action, minus the searing elbow pain and skidded knees.